Wii mini is fundamentally a smaller version of Wii. However, some functionality from Wii has been removed. Compared to Wii, Wii mini will lack the online functionality, the SD card slot and GameCube backwards compatibility. 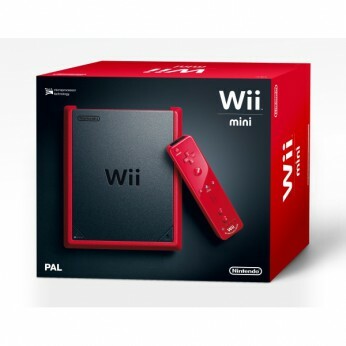 This toy costs approximately £84.99 (for the latest and best prices make sure you check our retailer list for the Wii Mini Console Black/Red Wii above). In our review of Wii Mini Console Black/Red Wii we classed it as being suitable for ages 4 years, 5 years, 6 years, 7 years, 8 years, 9 years, over 10 years, Teenagers but recommend you check the manufacturer specific advice before purchasing.